The Muffin Man | Home Cookin' | Kids VT - small people, big ideas! The muffin has been through a lot. It's been diminished in size and blown up to unreasonable proportions, thanks to mini- and jumbo-muffin tins. As a breakfast food, it's been thrown over for "healthier" options. But muffins are good — and they can be good for you. And chocolaty. These muffins make a perfect breakfast treat or portable snack. Packed with protein and whole grains, they are nearly fat free — the yogurt replaces the usual butter or oil. The muffins can be baked, frozen and thawed out whenever the kids need a chocolate fix. 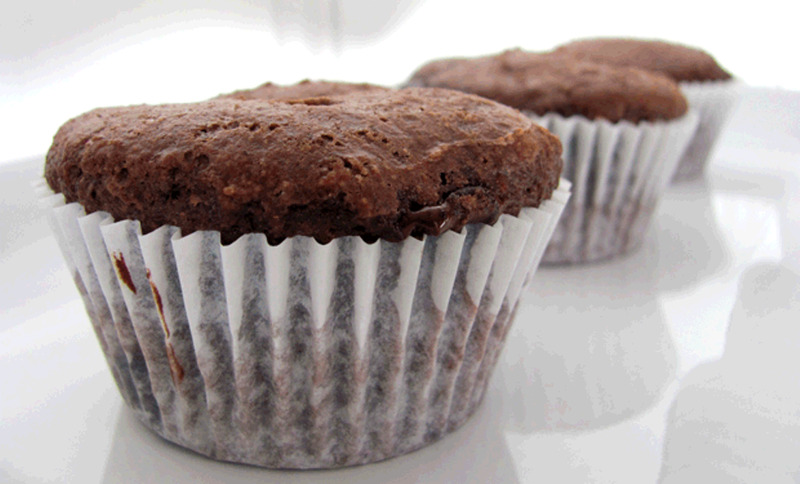 Grease a standard-size 12-cup muffin tin or line with paper muffin cups. In a small bowl, mix the yogurt, egg, milk and vanilla. Fold wet ingredients into dry, being careful not to overmix. Fold in the chocolate chips. Divide batter equally into muffin cups. Bake 13 to 16 minutes, or until a toothpick inserted into the center comes out clean. Let cool on a wire rack. *For a wheat-free option, these muffins can be made with oat flour only, rather than a combination of wheat and oat flours. The texture will be nuttier and may take some getting used to.